A bus leaves you at an unmarked stop somewhere on the corner of two unnamed streets, kicking up dust in a part of the world where there is no Yelp, no Trip Advisor, no Foursquare and where the only online access comes via a pay-by-the-minute 1998 Gateway in a sketchy Internet café. This may well be a dream vacation. For some it is also a very disconcerting dining scenario. So what do you do when your phone can no longer point you toward every worthwhile sope, bowl of noodles or other anonymous street cart? 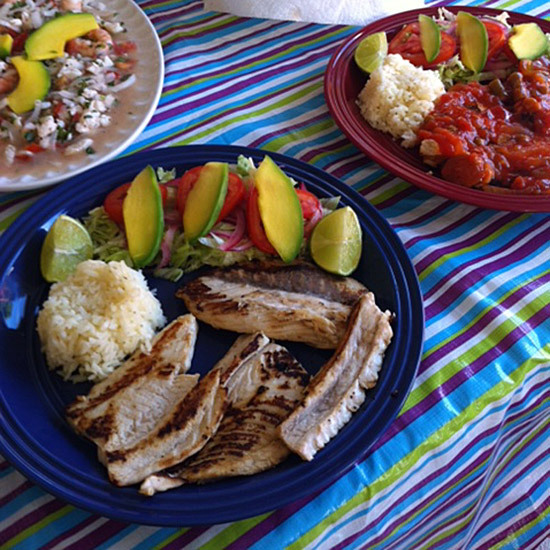 I recently returned from just such an experience in eastern Mexico, and through a series of trials and errors discovered some rules that can help you pick a meal that is both authentic and delicious. It’s possible the person behind the desk at the hotel might have your best eating interests at heart, but it’s just as possible they’ve worked out some kind of partnership with some overpriced restaurants. The sorts of places that, if you did have access to Yelp, would be struggling to get to three stars. * This does not apply if you’re staying at a hostel. The weird dude at the desk who gives you the bathroom key probably has lots of good advice. 2. If the restaurant staff feels the need to warn you about anything on the menu, you’re in the right place. Oh, so the waiter thinks the red sauce is too hot for you? Well, *cough* *heave* *cough* OK, it’s possible he’s right about that. But the very fact that this place serves a potentially deadly condiment is a good indication that the menu is loaded with tasty food for locals. 3. You should be able to count the number of nonlocals on one hand. It’s better if you can count them on the hand of someone who is missing a couple of fingers. 4. Check the prices on the menu. Are they all exclusively in local currency? Good. A surefire giveaway that you’re not in an authentic spot is that pricing shows up, for example, in pesos and dollars. They’re catering to tourists too lazy to change money or nervous that they will need to pay off kidnappers in American bills. 5. Avoid menus with English on them. OK, I know you’re all saying, “Duh. Of course.” But you can be lured by a seemingly authentic facade only to get to the table and have to order a hamburger. If the only options presented are “small” or “big” that’s the place for you. And you should order a big. 7. Find out if your waiter is biologically related to the cook. The answer should be yes. I don’t really know why there is a correlation between this biological relationship and the quality of the food, but there is. My best guess is that secret family recipes tend to make some of the best dishes, and the keepers of those secret recipes chase off any non-relations who try to work in their restaurants with large knives used to open coconuts. Find a restaurant with a tortilla lady. They will be sitting off to the side near the entrance and pressing fresh tortillas nonstop. If the tortillas were fresh, so was the rest of the food. You should also make sure to tip the tortilla lady. It’s hard work cranking out all those perfect cradles for your al pastor.